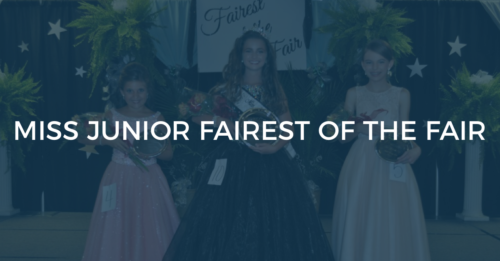 The Miss Junior Fairest of the Fair Pageant (ages 10-12) will be held under the Smith County Ag Pavilion at 8:00 p.m. on Tuesday, July 3, 2018. Entrant is and always has been a female and is between the age of 10-12 years of age for Junior and 7-9 years of age for Petite by the date of pageant. Pageant staff has the right to request proof of age. Dress must be formal and floor length. Judges will strongly consider contestant’s make-up and dress. Contestant needs to “look their age”. 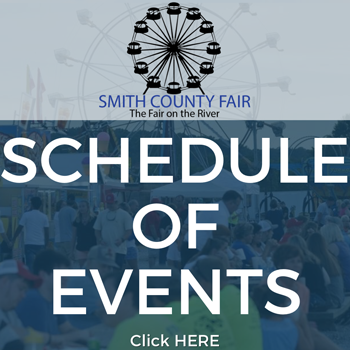 Entrant will continue to be a person of good moral character, affirms that she has not committed and will not commit any act inconsistent with the highest standards of public morals and convictions or that reflect unfavorably on the Smith County Fair Pageant, its representatives, sponsors and/or the county.